In the top right, click the Settings “gear” and then Settings. 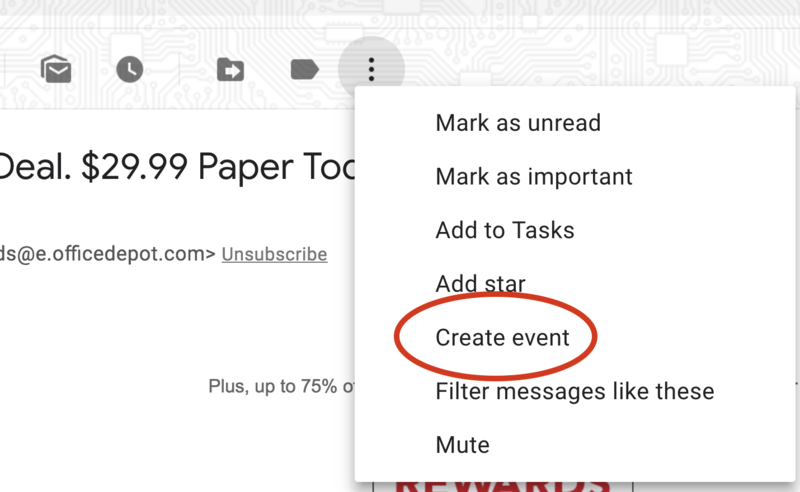 Next to “Events from Gmail,” check/uncheck the box next to “Add automatically” as desired. 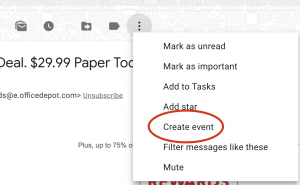 You should also be able to click on a dotted line under a date and time, if it appears, or within the email click on the three dots and choose “Create Event” and then edit the details as needed. This entry was posted in Gmail, Google Apps. Bookmark the permalink.